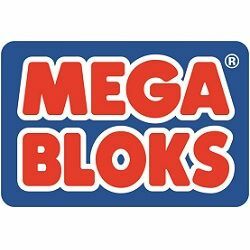 MEGA Brands is a trusted family of leading global brands in construction toys, games & puzzles, arts & crafts and stationery. American Girl Series 1 Collectible Figure #1 - 13 pcs. American Girl Series 1 Collectible Figure #2 - 13 pcs. American Girl Series 1 Collectible Figure #3 - 13 pcs. American Girl Series 1 Collectible Figure #4 - 13 pcs. American Girl Series 1 Collectible Figure #5 - 13 pcs. American Girl Series 1 Collectible Figure #6 - 13 pcs. American Girl Series 1 Collectible Figure #7 - 13 pcs. American Girl Series 1 Collectible Figure #8 - 13 pcs. Big Bulding Bag Classic 80 pcs. Big Bulding Bag Pink 80 pcs. Blue Big Building Bag 80 pcs. Downtown Style Collection - American Girls - 48 pcs. Grace's Pastry Cart - American Girls - 84 pcs. Mckenna's Gymnastics Training - American Girls - 81 pcs. Pink Big Building Bag 80 pcs. Uptown Style Collection - American Girls - 48 pcs.